The price of US crude oil crashed through the $80/barrel level on Friday afternoon bringing its losses to more than 10% in September and suffering its worst quarter since the 2008 recession. At the same time the discount on Western Canada Select widened to $10.50/barrel meaning oil sands producers now sell some of the cheapest fuel on the planet. The international benchmark for oil was pegged at over $102 on Friday. Canada exports 2 million barrels of oil per day and a lack of pipelines means all of it goes to the US Midwest, the pricing point for US crude. The gap between the US crude benchmark West Texas Intermediate which closed at $78.75 a barrel in New York and Brent November contracts increased $1.63 to $23.44 a barrel. The spread settled at a record margin of $26.87 earlier in September and many traders see it going as high a $40/barrel. Historically WTI has traded at a premium to Brent, but has steadily declined since the Saudis dropped the WTI contract as their benchmark in 2009. Syncrude, a light oil made from oil sands after undergoing an expensive upgrading process, still attracted a premium to WTI of $7.75 a barrel on Friday, but that is down from a premium of $18 in August during the Canadian Natural Resources upgrader outage and is set to return to historical levels of a slight discount. 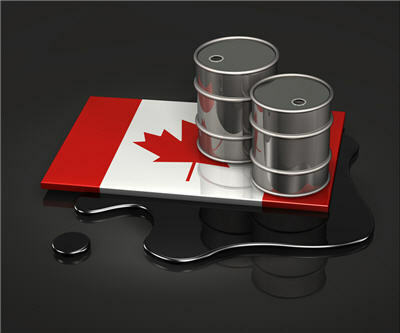 The Globe and Mail reports despite the fact that Brent futures contracts are now the benchmark for more than 65% of the global trade in crude, they are less liquid than WTI contracts, making them more prone to manipulation by oil traders and hedge funds.